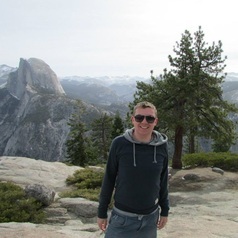 Nathan is a senior research associate in the Space and Planetary Physics research group, in the Department of Physics, at Lancaster University. He is a space physicist studying the interaction between the solar wind and the Earth's magnetosphere. His research interests include studying the interaction between the solar wind, a continuous flow of charged particles emitted by the Sun, and the Earth's magnetic field, known as the magnetosphere. He is an avid aurora fan and is a member of Lancaster's AuroraWatch UK team. Past research has included working on the Aurorasaurus citizen science project, collecting observations of the aurora (northern lights) from citizen scientists and using them for scientific study. Nathan's background was investigating the solar wind, from its journey in interplanetary space to its arrival at Earth, and the effects it has on the location of the Earth's magnetopause (the outer edge of the magnetosphere).